At Bernell Hydraulics, our goal is to help every customer find the hydraulic parts in El Monte CA that will last the longest and provide the best value. This means our staff has to know hydraulic equipment inside out, in order to recommend the right parts for various temperature, pressure, and chemical resistance requirements. With decades of experience under their belts, our staff members are indeed very knowledgeable about hydraulic parts. If you do manage to stump them with a question, they can contact the manufacturers to find out the information you need to know. If you want us to install your new parts for you and repair your equipment, just let us know and we’ll sign you up for our 24 hour mobile repair service. If you know exactly which parts you need, you don’t even have to come to the store–just give us a call and we’ll send one of our mobile techs to your job site with the new parts in hand. Because we test all the work that we do before leaving the job site, you can rest assured that your equipment will be ready to go. 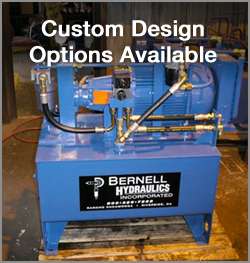 Remember, when you need hydraulic parts in El Monte CA, you can call Bernell Hydraulics for parts sales and installation and kill two birds with one stone.